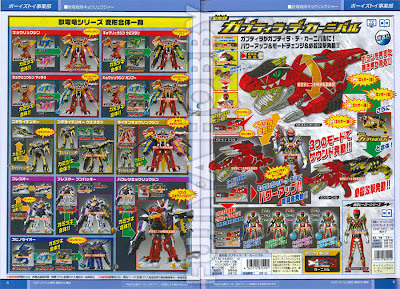 The latest toy catalog scans have revealed our first look at KyoryuRed Carnival with this image of the Sentai Hero Series 07 Kyoryured Carnival. 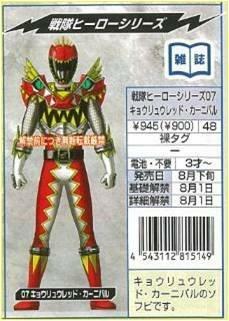 This is touted to be KyoryuRed's upgraded form in the upcoming summer movie. Kyoryured Carnival can accessed by Gabutyra De Carnival combining with the Gaburevolver. 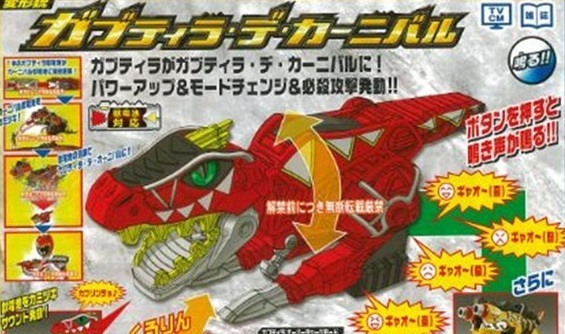 The Gabutyra De Carnival resembles a small Gabutyra that can transform into a gun. 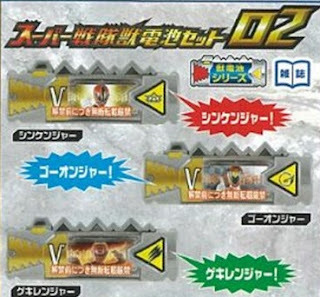 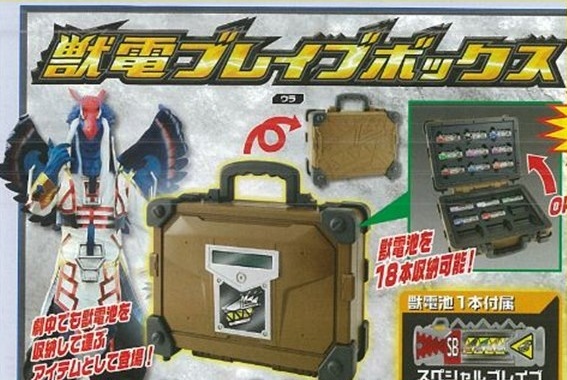 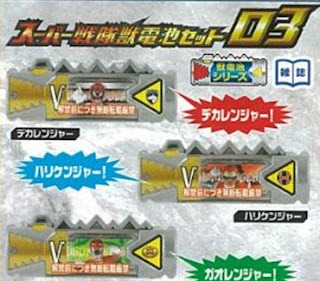 It seems like Kyoryured Carnival will have new attachments just like Gabutyra such as Western Carnival, Macho Carnival, Samba Carnival and Kung-Fu Carnival by using the right batteries. Sentai Hero Series 07 Kyoryured Carnival will be released this August for 900 yen while the Gabutyra DoCarnival is set to release this September at 6,800 yen. Thanks to Fujiya Character &Hobby Shop for the listings.